For the first time, five alumni of UCLA Luskin are included in the new group of Senior Fellows — two each from Public Policy and Social Welfare, plus a graduate of Urban Planning. In the Senior Fellows Leadership Program, professionals in careers associated with fields related to the School’s academic programs volunteer to mentor graduate students. Senior Fellows also provide UCLA Luskin students with career guidance and arrange an on-site visit at their organization. Chinling Chen MSW ’06 is the new Chief Program Officer of Prevention for L.A.-based nonprofit Five Acres. Chen will lead Five Acres’ programs in community-based mental and behavioral health care and help pioneer partnerships with other healthcare providers to prevent family separation. Mustafa Ghuneim MURP ’18 secured a new position as a Water Resources Engineer Intern at Geosyntec Consultants. Brandy Henry MSW ’12 was appointed by Massachusetts Governor Charlie Baker to the Commonwealth’s Restrictive Housing Oversight Committee. The committee will oversee the use of restrictive housing in Massachusetts state prisons and county jails. 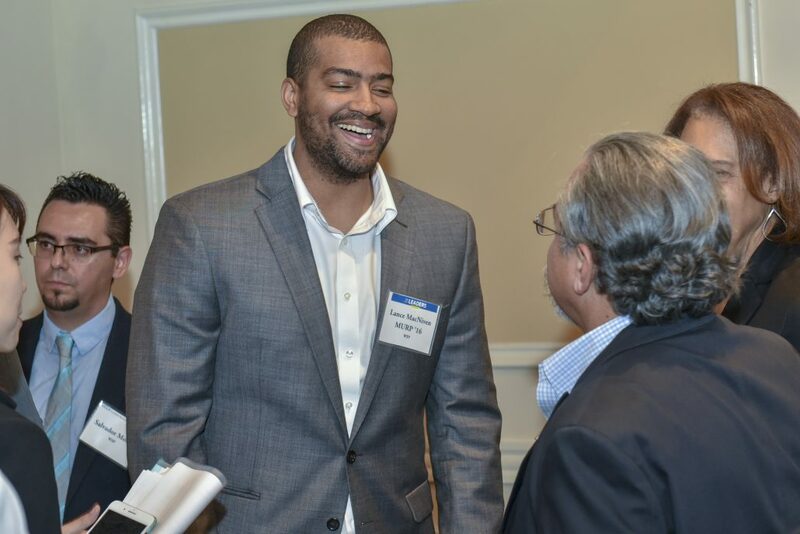 Mark Kenegos MURP ’18 is now database manager at PLACE Program Division of Chronic Disease and Injury Prevention–LA County Dept. of Public Health. 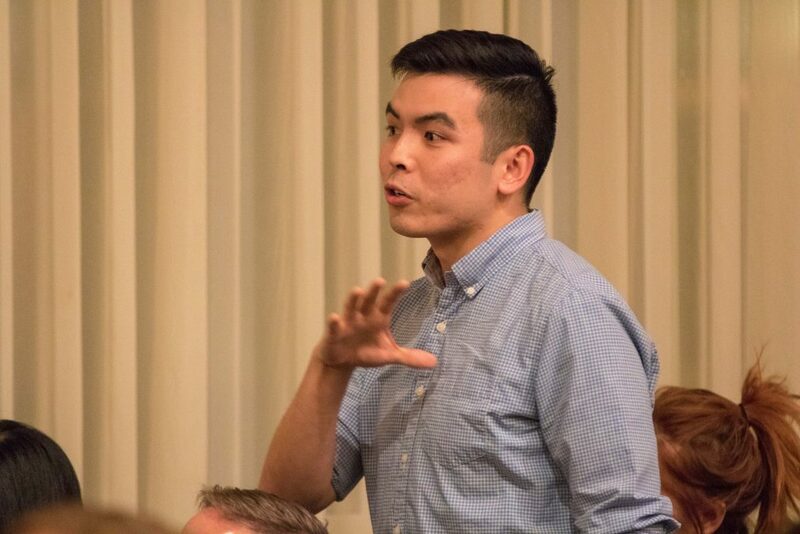 Allan Nguyen MPP ’18 started a new position as Operations Analyst at Green Dot Public Schools. Sarah Simons MPP ’07 secured a new position as Advisor at Mexican Secretariat of Environment and Natural Resources. Kiana Taheri MPP ’16 was promoted to Executive Officer to the Deputy Chief of Staff for the Office of Los Angeles Mayor Eric Garcetti. Taheri also is a 2016 UCLA Luskin Bohnett Fellowship recipient. Heather Ward MPP ’04 is an International Cooperation Specialist at the U.S. Agency for International Development. She recently participated in the Maureen and Mike Mansfield Fellowship Program in Japan. Urban Planning’s Leo Estrada, who passed away in November 2018, began his career at UCLA in 1977 and retired just a few months before his death. He leaves behind an extraordinary legacy of service to students and leadership, especially as a role model to Latino and other minority scholars. While at UCLA, Professor Estrada was a pioneer in demography and a leader on UCLA’s campus and beyond, serving as the chair of the Academic Senate and member of the 1991 Christopher Commission, which examined the use of force by the Los Angeles Police Department. In honor of his remarkable career, Urban Planning celebrated Professor Estrada at a retirement celebration on June 11 at the Luskin School. Colleagues, former students, friends and family members gathered to honor Estrada and the many people he served in his four decades at UCLA. The department also established the Leo Estrada Fellowship Fund. 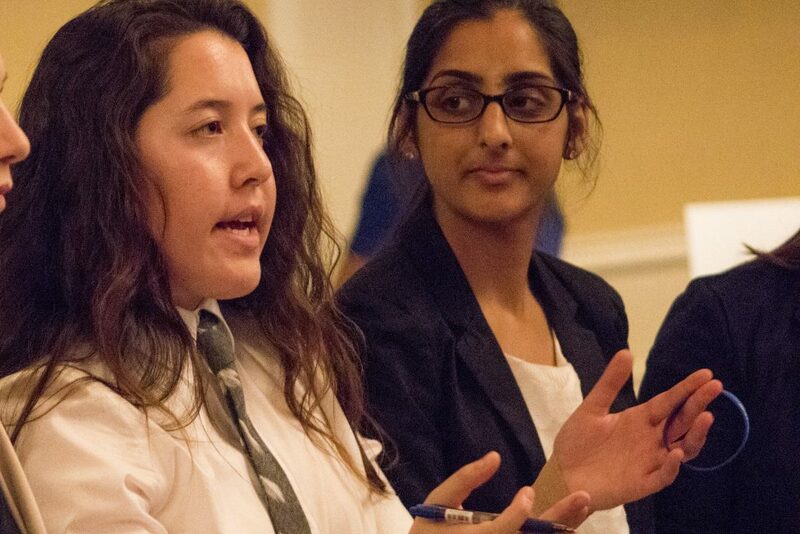 The fund supports Urban Planning graduate students with an unmet financial need who are from cultural, racial, linguistic, geographic and socioeconomic backgrounds that are underrepresented in graduate education. 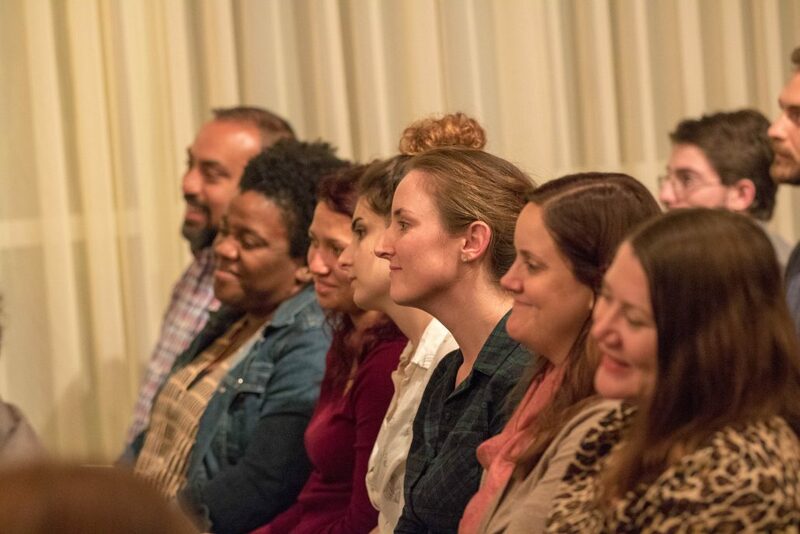 In an effort to provide further connections for business and community leaders to engage with the School, UCLA Luskin has created a series of topical salons hosted by members of the Board of Advisors. The first session hosted by Jeffrey Seymour, a longtime member of the Board, was scheduled for December at the SOHO House in West Hollywood. 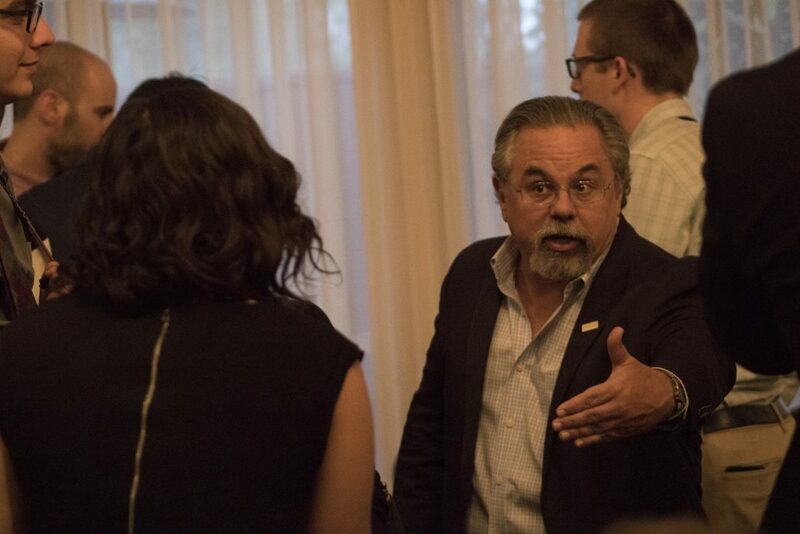 The salon and others to follow provide an opportunity for Dean Gary Segura and other UCLA Luskin leaders to share information on a wide range of topics, including changes in the School’s three graduate departments and the progress of the new undergraduate major in Public Affairs. Seymour is a dual-degree holder from UCLA with a B.A. in political science and a master’s in public administration. He and his wife, Valerie, whose UCLA undergraduate degree is in sociology, have been longtime supporters of UCLA and the Luskin School. Seymour is the founder and owner of Seymour Consulting Group, a governmental relations firm specializing in areas of planning, zoning and land use consulting, as well as public policy analysis and ordinance studies. 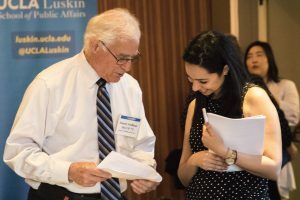 Thanks to the overwhelming generosity of Meyer and Renee Luskin, more than 60 Luskin students were recipients of the Luskin Graduate Fellowship this past academic year along with five undergraduate student fellows. 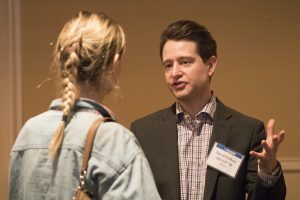 The Luskins came to campus on April 10 to meet the recipients, learn about the important work they are doing and hear highlights of their student experiences. Students were able to personally thank Mr. and Mrs. Luskin for their generosity as they work to become change agents while at the Luskin School. The Luskin Graduate Fellowship has supported students in the School since 2011. Recipients of the award are among the best and brightest in the Luskin School and come from all walks of life. Graduate students and doctoral candidates who have received the award carry forward the Luskins’ legacy of giving back generously to their communities and creating long-lasting positive change. UCLA Luskin Dean Gary Segura met with students currently enrolled in the Public Affairs under-graduate major and their parents for an exclusive luncheon during Bruin Family Weekend on Oct. 26. Students who attended are members of the first enrolled class in the Public Affairs major after the program was approved by the Academic Senate in April. Segura outlined his vision for the program, which strives to provide a wide-ranging education with a clear public service ethos. Students who matriculate from the program will be well-equipped to bring what they learn on campus back to their communities to create long-lasting positive change. This emphasis on service learning is highlighted by a yearlong capstone project that will immerse seniors in communities where they can apply their scholarship in the real world. The program has already piqued interest across campus. More than 100 students have declared the Public Affairs pre-major, outpacing School projections. In Henrik Ibsen’s timeless play, “An Enemy of the People,” a medical doctor and a journalist plot to publish a troubling truth about their town’s major attraction, a resort spa. The waters of the spa are contaminated with bacteria. It is not fit for human use. At the last moment, fearing the consequences, the editor cowers and declines to publish the story, imperiling the guests but protecting the town’s economy and — not coincidentally — his hide. The doctor proceeds to tell the truth in a public forum. It does not go well. The town turns against him and his family. Perhaps the editor made the personally wise decision, but he didn’t make the right one. On Oct. 9, 2018, the Luskin School presented a UCLA Medal — our highest honor — to Jorge Ramos, a journalist, longtime Univision anchor and proud Bruin. Mr. Ramos recounted his journey from Mexico to Westwood and UCLA. Ramos left Mexico where he was a successful reporter because, unlike Ibsen’s editor, he refused to be censored in his efforts to tell the truth. Ramos was fired for refusing to change a story to reflect a better light on the ruling one-party government in Mexico. He sold his car and came to the U.S. with little more than what he could carry. Not long after, he enrolled in a journalism program at UCLA Extension. “UCLA saved my life,” he told the crowd of students, alums and friends of the University. We now know that Jamal Khashoggi, a Washington Post columnist, was murdered by his own government. Though there are efforts to offer alternative narratives, there is little question that he was killed and largely as a consequence of his critiques. Khashoggi is, alas, not alone. He joins Daniel Pearl, journalists of the Capital Gazette in Annapolis, Maryland, and many more… The international Committee to Protect Journalists has documented 590 intentional deaths of journalists in just the last decade, some in the cross-fire of international or civil military conflicts, but the overwhelming majority through murder/assassination. The mission to find and tell the truth sometimes gets you fired, as Jorge Ramos learned. And sometimes it gets you killed. The values of democracy are powerful but do not defend themselves. They require us, citizens committed to the sovereignty of the people rather than autocratic rule, to defend them, to draw lines, to hold accountable those who cross them. We can and should disagree about policy, about which paths are best. But the truth, facts and evidence must inform us. To suppress the truth is unscientific and undemocratic. It is beneath us. And the values of democracy require a courageous, fair and uncensored press. Calling the press the “enemy of the people” is corrosive to an accountable democracy because it risks trading the courageous Jorge Ramos for Ibsen’s small-town editor, too afraid to publish the truth. Riverside Mayor Rusty Bailey is also the UCLA Luskin 2013 Public Policy Alumnus of the Year. William R. “Rusty” Bailey, the mayor of Riverside, California, has been named the 2018 Commencement speaker for the UCLA Luskin School of Public Affairs. Bailey, a 1999 Public Policy graduate of the Luskin School and the school’s Public Policy Alumnus of the Year in 2013, will speak during the Luskin ceremony at 9 a.m. on June 15 at Royce Hall on the UCLA campus. Bailey is a Riverside native who has served as mayor of his hometown since 2012, having previously been a member of the city council. His family came to Riverside in 1914 and has a long history of service to the community. After graduating from the U.S. Military Academy at West Point with a degree in political science in 1994, Bailey worked in a variety of public service positions locally and in Washington, D.C.
Bailey was elected to the Riverside City Council in 2007, representing Ward 3, and took office on Dec 11, 2007. He was re-elected in 2011 and served in that role until he was elected mayor in November 2012. He took office on Dec 11, 2012, and was re-elected in June 2016. Bailey is a member of the Western Riverside Council of Governments and its executive committee. He also serves on the Southern California Association of Governments Regional Council 68 and on its Transportation Committee. Bailey’s accomplishments include serving as a helicopter pilot, platoon leader and company executive officer in the U.S. Army; earning a two-year Presidential Management Fellowship; and working for the U.S. Department of Housing and Urban Development and the Executive Office of the President in Washington D.C. Bailey also served as a legislative aide for County Supervisor John F. Tavaglione and worked at the Riverside County Economic Development Agency. He spent more than a decade as a teacher at Poly High School in Riverside and served as a member of Riverside’s Cultural Heritage Board. Bailey lives in Riverside with his wife, Judy, a former elementary and middle school teacher, and his daughters, Elizabeth and Julia. Learn more about the 2018 Commencement at UCLA Luskin. “Twitter as Data” is the first guide in Cambridge University Press’ new Elements series on Quantitative and Computational Methods for Social Science. Zachary Steinert-Threlkeld has long been fascinated by crowd dynamics, especially among those drawn to mass demonstrations. As a Ph.D. candidate in political science, Steinert-Threlkeld knew that social media generated at protests were a rich source of data — but he could find few tools to help him analyze it. Now, in a world awash with popular uprisings and social movements — from Tahrir Square in 2011 to the Women’s March following the 2017 presidential inauguration — the assistant professor of public policy at the UCLA Luskin School of Public Affairs has used data generated by millions of posts on Twitter to learn more about crowd behavior and mass motivation. Steinert-Threlkeld created a guide for acquiring and working with data sets culled from Twitter, which has more than 320 million global accounts generating more than half a billion messages every day. His efforts culminated this year with the publication of “Twitter as Data,” the first guide in Cambridge University Press’ new Elements series on Quantitative and Computational Methods for Social Science. The series provides short introductions and hands-on tutorials to new and innovative research methodologies that may not yet appear in textbooks. 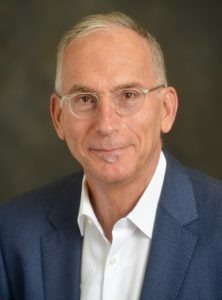 Steinert-Threlkeld, whose work combines his interest in computational social science and social networks with his research on protest and subnational conflict, said the book includes an interactive online version that allows users to click on links to download information and even sample data. To remedy this, Steinert-Threlkeld provides a systematic introduction to data sources and tools needed to benefit from them. Steinert-Threlkeld said that getting data into a form that a researcher can use requires a different skill set than designing and administering a survey. “But it’s still in some ways survey-like at the end of the day,” he said. 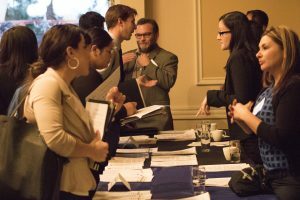 Scores of first- and second-year graduate students worked the room at the annual UCLA Luskin Job and Internship Career Fair, networking and trading business cards with prospective employers. 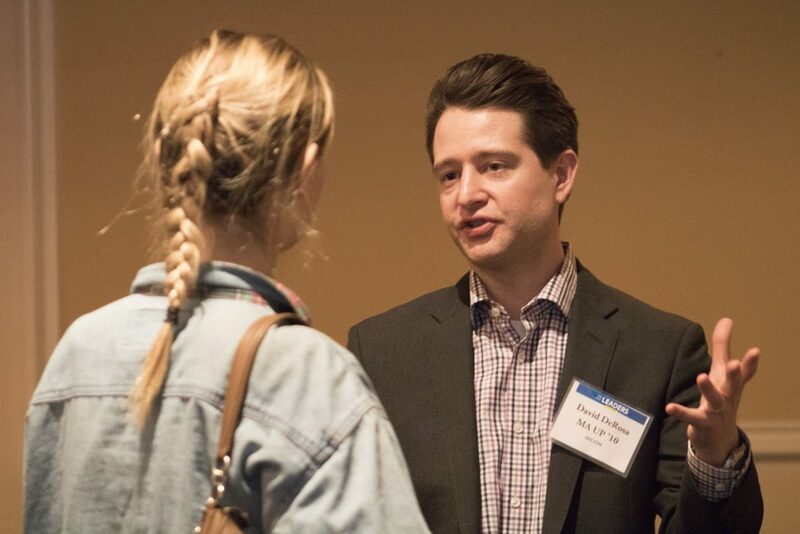 Held Jan. 30, 2018, at the UCLA Faculty Center, the event gave students in all three disciplines — Public Policy, Urban Planning and Social Welfare — a chance to meet future employers, who were looking to fill jobs and internships. 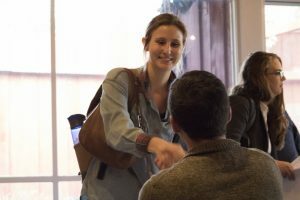 Mirna Jewell, a researcher with the Los Angeles Department of Public Health, attended for the first time to recruit UCLA Luskin students on the advice of her colleague, a public policy graduate. Jewell was looking for interns for the Public Health Department’s food insecurity program. A strong contingent of Luskin School alumni were on hand. Greg Srolestar, director of technical assistance with Fair and Just Prosecution, a group that works with elected local prosecutors to provide policy and networking support, said he was looking for a few good students to join his team. Srolestar was one of several dozen Luskin alumni who attended the fair on behalf of their employers. Megan Kirkeby MPP ’12, a housing policy research specialist at the California Department of Housing and Community Development, attended to fill recently opened positions. 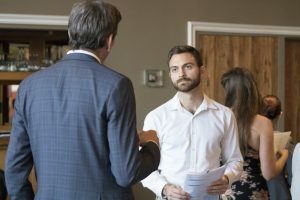 Adam Russell, a first-year urban planning student with a focus on design, development and transportation, said the career fair had a good mix of employers. Sarah Burtner, a second-year MPP candidate, said she also hoped to size up potential employers. 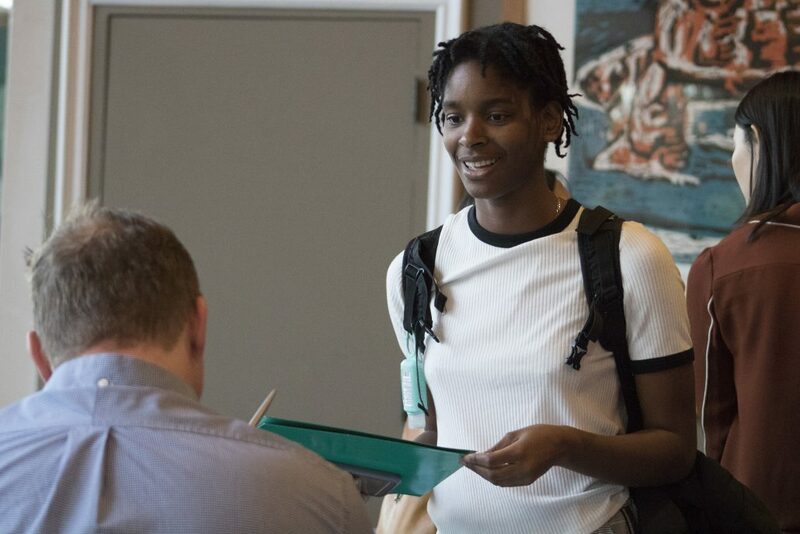 Corina Post, a graduate student in her third and final year of a dual degree in public policy and social welfare, said she was hoping the job fair would kick off her career search. 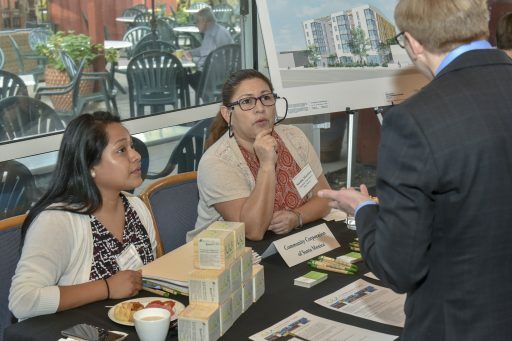 Tuesday’s event marked a return to the traditional job fair format. 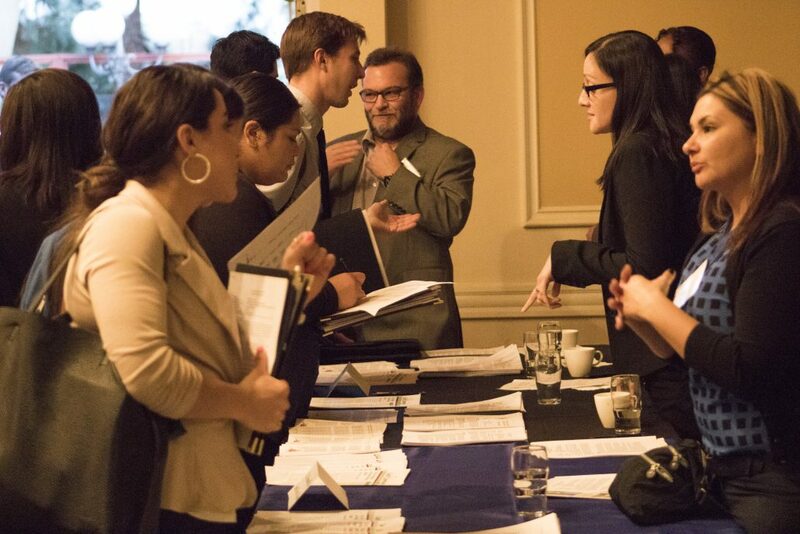 Last year, a “speed dating”-style event paired alumni employers with students with related interests. While the event was originally billed as a nonprofit fair, high interest from alumni and employers in government and the private sector helped broaden the scope. Powe had hoped to attract at least 30 employers, but more than 200 students and 55 employers registered for the event, making it one of the most popular job fairs ever, Powe said. Jennifer Ferro was still a UCLA undergrad in the early 1990s when she landed an internship at KCRW, the public radio station in nearby Santa Monica. 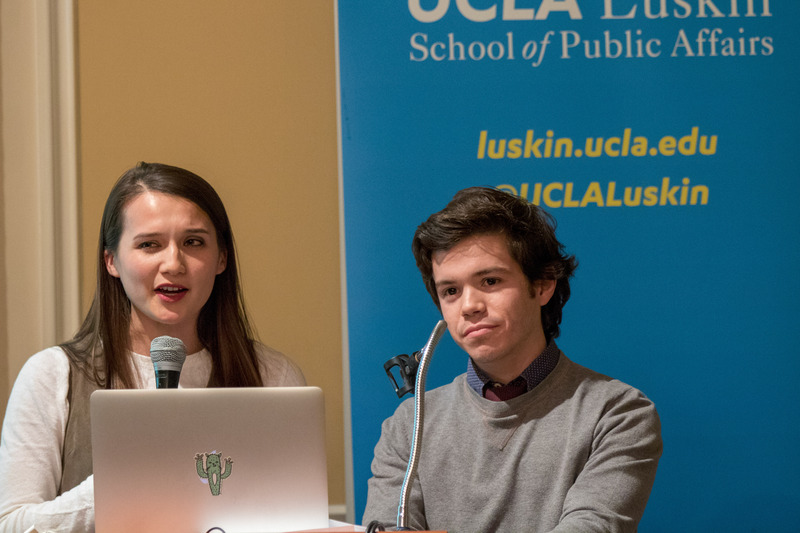 “Jennifer had an internship that turned into a job,” noted Sarah Burtner, a second-year student in public policy at UCLA Luskin who helped introduce Ferro to a crowd of about 75 people, mostly students, who gathered Jan. 18, 2018, to hear Ferro’s Senior Fellows Speakers Series presentation. Ferro has been with KCRW for 25 years now. “Millennials, on average, change jobs every three to five years, so this type of longevity is truly lost on us,” said Burtner with a smile. Today, KCRW is the flagship public radio outlet in Southern California and Ferro is the station’s president. She is also an active participant in the UCLA Luskin Senior Fellows program, serving as a mentor for current students such as Burtner and Andres Carrasquillo of urban planning. 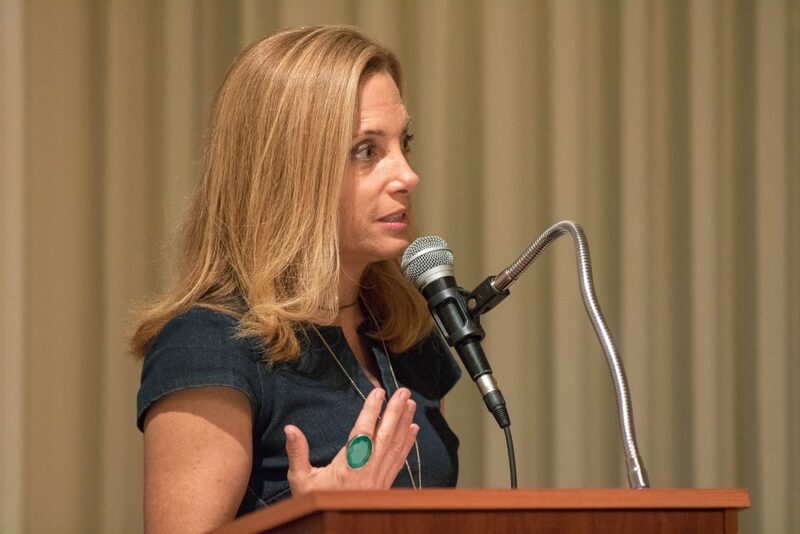 “We were drawn to Jennifer’s work at KCRW to help us understand how we might use the tools from the field of communication in thoughtful, engaging ways to help the public navigate the complexities of our fields,” Carrasquillo told the audience in the California Room at the UCLA Faculty Center. She leads a radio outlet that is among the nation’s largest, best-known and most prolific, producing more than 100 hours of public interest and music programming each week. Her station offers hard news reporting as well as feature coverage of trendsetters in fields such as food, art, Hollywood or culture. 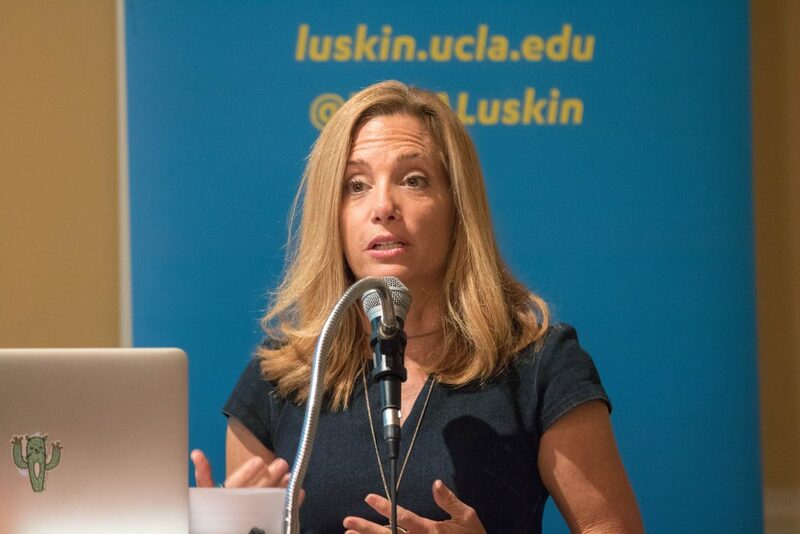 Ferro tailored her presentation in part to the policy interests of her audience, most of whom were from the UCLA Luskin School of Public Affairs. She noted, for example, that many people have the mistaken perception that public radio exists mostly on money doled out to stations by the federal government. In reality, just 6 percent of the station’s budget comes via taxpayers. “KCRW receives close to half of its $20-million budget annually from individuals who decide, voluntarily, to support it,” she said. In all, about 55,000 people donate to the cause. The remaining funding “comes from sponsorship, or what we call underwriting,” Ferro explained. She and her colleagues try to use those funds wisely, Ferro said, covering stories in ways that will enlighten listeners and broaden their perspectives. Noting the overriding sense of political division in the country of late, Ferro played a couple of audio clips from public radio programs that tried to bridge the divide between left and right by including voices from both sides on controversial topics. In one piece that aired prior to the 2016 presidential election, a woman who supported Donald Trump speaks of her beliefs, including the idea that radical Islamists had been infiltrating the country in large numbers with the intent of doing harm to Americans. An interviewer points out that white men have been responsible for the vast majority of terrorist violence in this country, but the woman refuses to believe him. Ferro said this piece sticks out in her memory not because of the woman’s views but because of the reaction the interview generated among many listeners. Yet, after that interview aired, the woman who expressed her conservative views on air was flooded with hateful emails and tweets, including many that were vile — even death threats. “One of the things I hear all of the time is that we just need to listen more to each other,” Ferro told the crowd. But when people with opposing views do try to communicate, “sometimes I feel that what we really want is to wait for them to stop talking so that we can then persuade them to think the way that we think. As a Senior Fellow at UCLA Luskin, Ferro engages with students who benefit directly from her experience and efforts to expand their worldviews. She and other participants in the mentorship program provide other benefits too. VC Powe, who organized Ferro’s talk as part of her role as director of career services at UCLA Luskin, generated a buzz among the crowd when she told them of a new donation by Edmund J. Cain, vice president of grant donations for the Conrad N. Hilton Foundation, that will provide $5,000 stipends to UCLA Luskin students who land summer internships that would otherwise be unpaid. The catch? The stipends can only go to students whose internships are somehow connected to a senior fellow. That won’t be a problem at KCRW, which still offers internships like the one that first got Ferro her foot in the door there. Now, as station president, she continues to delight in the opportunity that public media provides for open, honest communication. The rate of suicides by drug intoxication in the United States may be vastly underreported and misclassified, according to a new study co-written by Mark S. Kaplan, professor of social welfare at the UCLA Luskin School of Public Affairs. 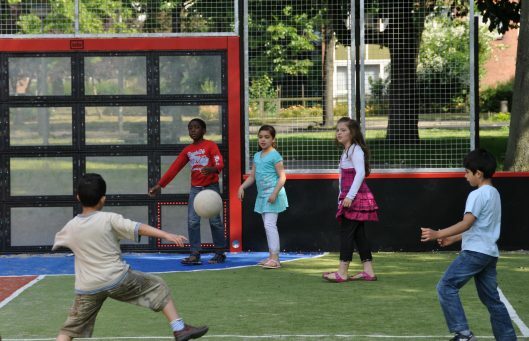 The study was published online Jan. 10 in the journal PLOS ONE. The researchers report that the drug suicide rate in the United States rose nearly one-quarter (24 percent) between 2000 and 2016, and the accidental opioid and other drug intoxication death rate increased by 312 percent. This rate gap suggests an increase in suicide undercounting, according to the multidisciplinary international team of researchers led by Ian Rockett of West Virginia University School of Public Health. “Unfortunately, part of the problem is due to serious under-resourcing of state and local death investigation systems throughout most of the U.S.,” said Kaplan, whose research has focused on using population-wide data to understand suicide risk factors among veterans, seniors and other vulnerable populations. Kaplan added that the Centers for Disease Control and Prevention (CDC) recently reported more than 63,000 drug deaths in 2016, up from 52,000 in 2015. “Many of these deaths were probably suicides, yet reported as accidental self-poisoning rather than intentional self-harm, particularly among the middle-aged,” Kaplan said. 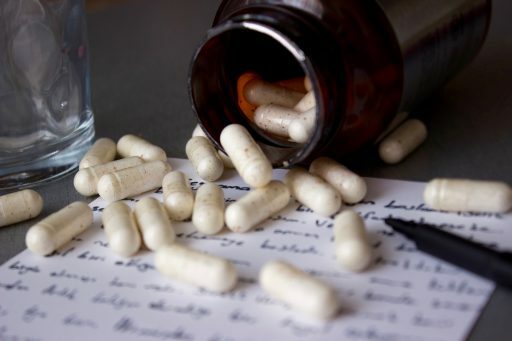 The researchers report that suicide notes and psychiatric history, including a prior suicide attempt or diagnosed depression, are much more important in helping medical examiners and coroners identify drug suicides than suicides by more violent and obvious methods. The new research further shows this evidence is absent in a large majority of suicide and possible suicide cases. “A suicide note, prior suicide attempt or affective disorder was documented in less than one-third of suicides and one-quarter of undetermined deaths,” the research team reported in the study. The researchers cited larger prevalence gaps among drug intoxication cases than gunshot or hanging cases. “Our incorporation of undetermined deaths, as well as registered suicides, not only provided a window on the nature of suicide misclassification within the undetermined death category, but within the accident category — as a much larger reservoir for obscuring drug intoxication suicides,” the researchers wrote in the report. The opioid epidemic in the United States is also exacerbating problems with suicide accounting, the researchers report. And that severely impedes the understanding and prevention of suicide and drug deaths nationally. The team analyzed data from the Restricted Access Database in the National Violent Death Reporting System, which is administered by the CDC.